The Sherwood Flying Club is first and foremost, a club which is run for the members, by the members. We strive to keep our overheads low and this allows us to keep the cost of flying down, an all-important consideration in these days of rising prices. Our flying rates are still among amongst the most competitive in the Midlands. Our video shows flying in a Piper Tomahawk aircraft. Please be advised that we no longer operate this type, but the principal and experience is just as exhilarating. The Sherwood Flying Club brings together people from all walks of life who not only love flying but who also want to fly economically and, above all, safely. 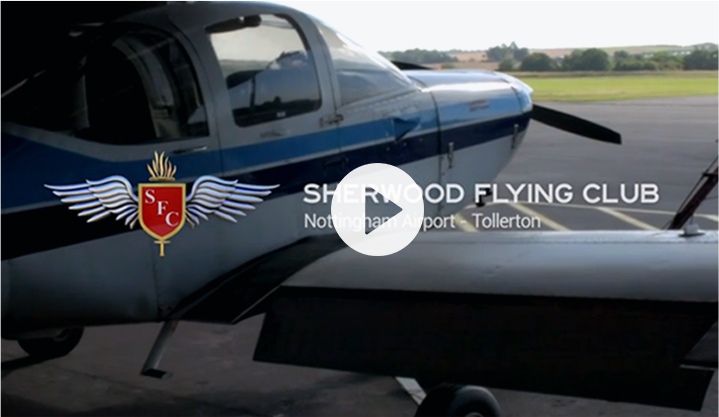 The Sherwood Flying Club Ltd has been successfully training pilots for over fifty years. The Sherwood Flying Club Ltd.